From food banks to drop-in centres and debt counselling, it is often claimed that local churches provide a significant proportion of social care today. In this important new study, Sam Wells, Vicar of St Martin's in the Fields and the Salvation Army's Russell Rook consider the reality of the church's social work today to offer compelling and concrete recommendations for the future. Their transformational model of welfare focuses on fostering assets rather than on problems, breaking free from the default approach set by the Beveridge Report 75 years ago which focused on `eradicating the five giant evils - squalor, ignorance, want, idleness, and disease'. Instead they recommend an approach that focuses on fostering five assets - relationship, creativity, partnership, compassion, and joy - and empowers people to regain control of their lives. With bold and innovative practical recommendations for churches, civil society and public policy, and compelling theological reflection on welfare, poverty and public policy today, this is essential reading for anyone interested in the church's contribution to society. 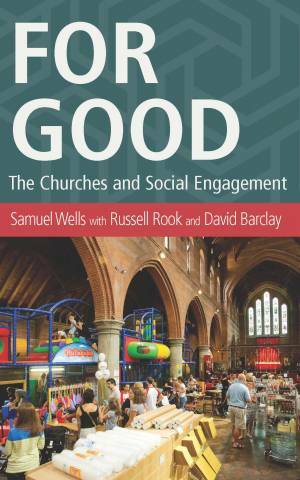 For Good by Samuel Wells was published by Canterbury Press Norwich in November 2017 and is our 3028th best seller. The ISBN for For Good is 9781786220233. Be the first to review For Good! Got a question? No problem! Just click here to ask us about For Good.